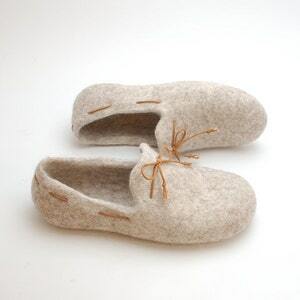 Felted wool slipper loafers with straps. 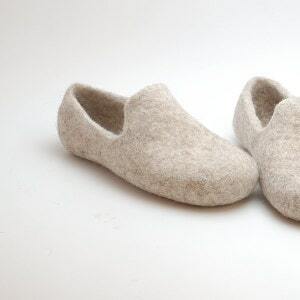 Made of 100% organic undyed wool. 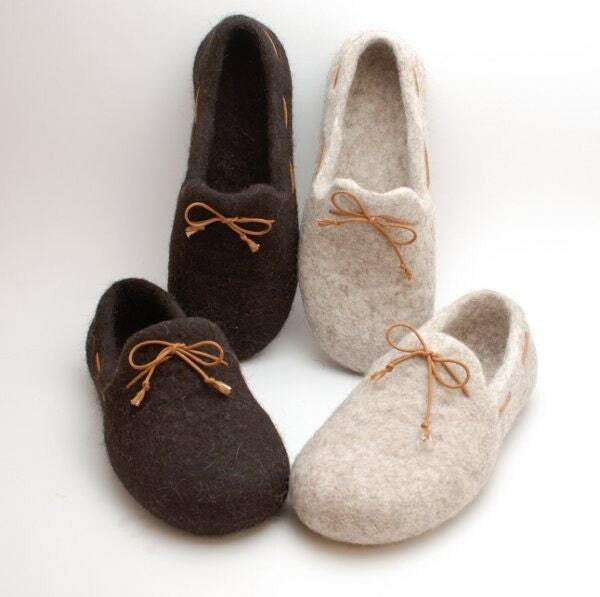 Set of 2 pairs of stylish, warm, natural footwear. 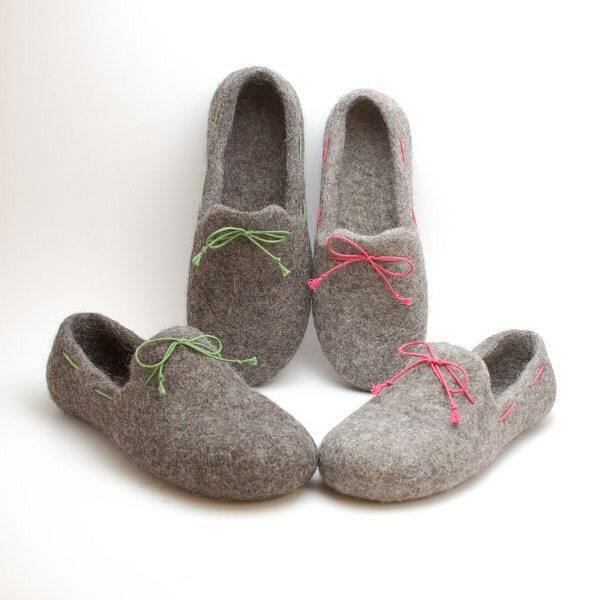 For him and for her - to keep your feet soft and warm. This item is made to order. 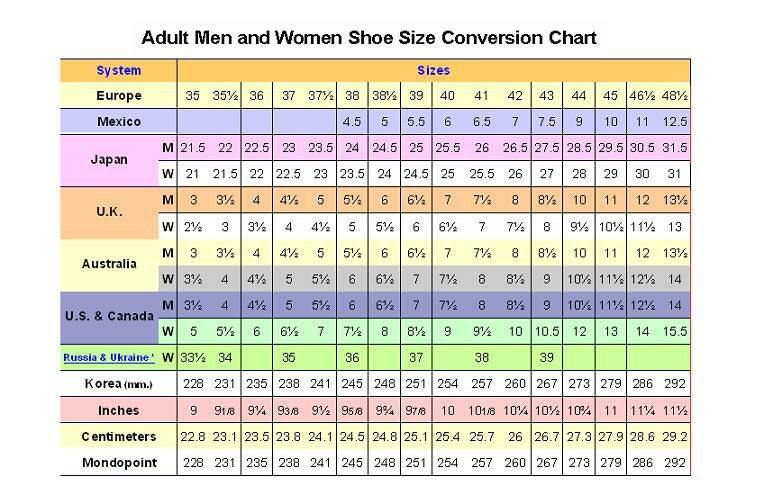 Specify the sizes of each pair according to size chart in picture 4. Pick the colors. 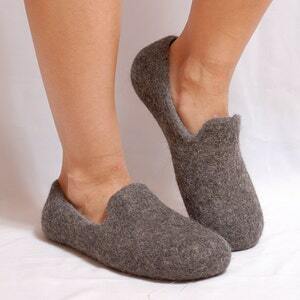 I will make such slippers for you in 10-15 days. I suggest light gray + dark gray set or dark brown + beige set. You can also choose any other colors from the picture 3, just mention your choise in the notes when purchasing. - The sole is covered with latex non-slip coating. Such footwear you can wear inside as slippers. 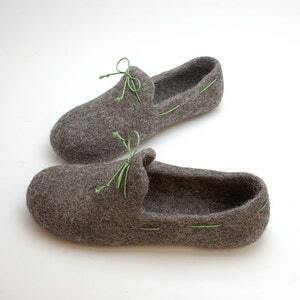 I make these slippers using wet felting technology, using only soap and hot water. It is natural and eco-friendly footwear. 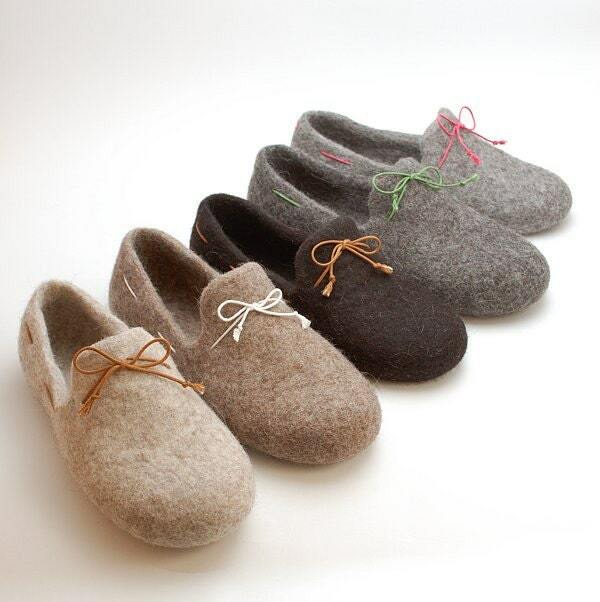 These loafers are extremely comfortable, 100% wool felt is breathable, and provides natural insulation that keeps your feet cool in the summer and warm in the winter. Wool is not chemically treated, it is a bit rough, but very suitable for footwear - it is extremely warm and massages your feet pleasantly! Wool reduces pain, and inflammation, has organism strengthening qualities.